The wolverine is found primarily in remote reaches of the Northern boreal forests and subarctic and alpine tundra of the Northern Hemisphere, with the greatest numbers in northern Canada, the US state of Alaska, the mainland Nordic countries of Europe, and throughout western Russia and Siberia. Its population has steadily declined since the 19th century owing to trapping, range reduction and habitat fragmentation. The wolverine is now essentially absent from the southern end of its European range. Wolverines are considered to be primarily scavengers. A majority of the wolverine's sustenance is derived from carrion, on which they depend almost exclusively in winter and early spring. Wolverines may find carrion themselves, feed on it after the predator is done feeding (especially wolf packs) or simply take it from another predator. Wolverines are also known to follow wolf and lynx trails, purportedly with the intent of scavenging the remains of their kills. Whether eating live prey or carrion, the wolverine's feeding style appears voracious, leading to the nickname of "glutton" (also the basis of the scientific name). However, this feeding style is believed to be an adaptation to food scarcity, especially in winter. Many cities, teams, and organizations use the wolverine as a mascot. 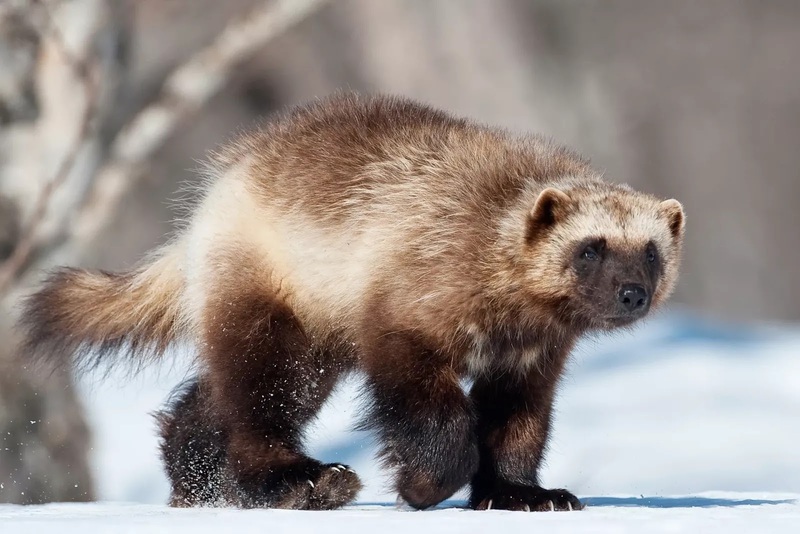 For example, the US state of Michigan is, by tradition, known as "the Wolverine State", and the University of Michigan takes the animal as their mascot. The association is well and long established: for example, many Detroiters volunteered to fight during the American Civil War and George Armstrong Custer, who led the Michigan Brigade, called them the "Wolverines". The origins of this association are obscure; it may derive from a busy trade in wolverine furs in Sault Ste. Marie in the 18th century or may recall a disparagement intended to compare early settlers in Michigan with the vicious mammal. Wolverines are, however, extremely rare in Michigan. A sighting in February 2004 near Ubly was the first confirmed sighting in Michigan in 200 years. The animal was found dead in 2010.